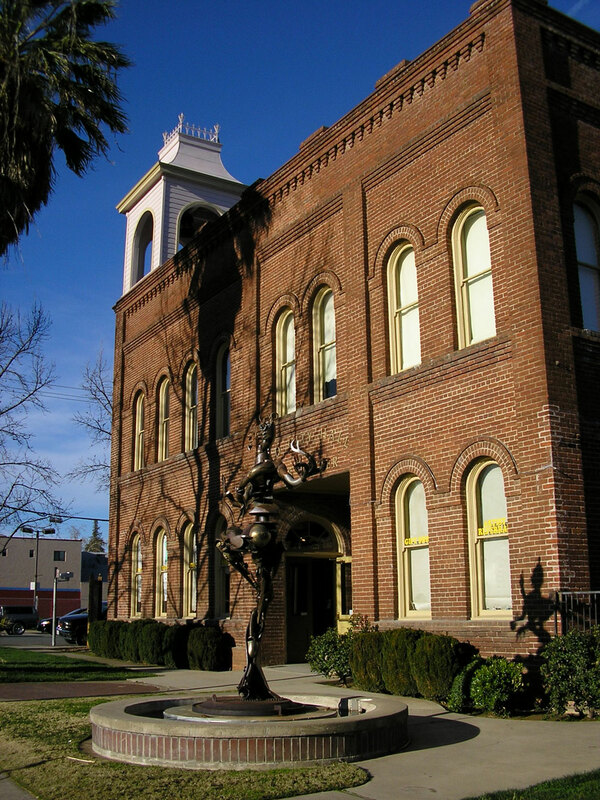 Our dedicated staff ensures smooth operation of the Shasta County Arts Council on a daily basis. Lucero is an award-winning journalist whose background includes eight years as a newspaper writer and editor in California, entrepreneurial experience in product development, marketing, public relations, retail and nonprofit management, as well as public sector service for a Hispanic lobbyist group in Washington, D.C.
For more than 15 years, Lucero has administered and directed Friends of the Arts, a State/Local partner to the California Arts Council in Butte County; and took over as a executive director for the Shasta County Arts Council in 2011. She was recently successful in establishing the True North Arts & Culture Alliance representing five north state counties – Butte, Tehama, Shasta, Siskiyou and Trinity. After five years of establishing a working relationship among arts councils, higher education and venues throughout the region, TNACA is now a recognized regional network by the California Arts Council. Agata Maruszewski joined Shasta County Arts Council in 2012. At the time, a recent graduate of Academy of Fine Arts in Poznan, Poland she was thrilled to engage with an arts advocacy organization. Maruszewski has previously gained some experience in the arts non-profit sector and has also interned at some prominent museums in Poland. At Shasta County Arts Council, she is responsible for the creation of the organization’s promotional materials, social media and web content, and curation of Old City Hall gallery. Agata holds a Master of Arts degree in Sculpture and Master of Arts in Art Critique and Art Promotion. My mother was an artist so I have always created. She brought me my first set of acrylics at age five so I would stay out of her oil paints. I started taking classes in ceramics and painting at age five at the Richmond Art Center. By the time I was 12 I was exhibiting my paintings at craft fairs, including KPFA’s annual holiday faire, Live Oak Faire in Berkeley, CA. I have a BFA from the San Francisco Art Institute. After art school I fell into making jewelry to survive. My clients included: Esprit, Wilkes Basford, I Magnums, and other specialty boutiques on the west and east coast. I have had my work in publications and on TV: The Esprit catalog, (national and international), Glamour Magazine, Women’s Wear Daily, W, New York Magazine, People are Talking, Bay Guardian, by the San Francisco Examiner etc. I don’t separate my art from my craft it is all part of me. For the last ten years I have worked with developmentally disabled adults, mentoring in micro art businesses. Before that living in the Bay Area I taught traditional and non-traditional arts and crafts at the Native American AIDS Project from toddlers to elders. I teach pine needle baskets, mixed media, jewelry, beaded buttons, and acrylic mediums and paint. The children summer art program started 16 years ago with the Shasta County Arts Council where I have been involved since 2000. In the art program we cover painting, sculpture, pen &amp; ink, watercolor, vintage inspired robots, papermaking and the Kitchen Sink. With Shasta County Arts Council I started as a volunteer over 16 years ago. I have been a teacher in residence on a NEA grant in Redding School District. I was one of 6 rotating teachers in the program. I started ARTsMART as a volunteer with Americore Vista working on conomic devolvement for artists in 2004. Today it is an artist co-op sponsored by SCAC in a gallery setting. Mike Flanagan has worked more than 15 years in Entertainment Industry as Emcee, DJ, Actor, Writer, Director, Producer & co founder of The Root Theatre in 2009. His current commitment to forming artistic alliances is a top priority and he is excited to work with SCAC to help others gain experience and expand their resumes. Shasta County Arts Council interns have a unique opportunity to launch their career in the arts. Interns assist with greeting clients, preparing for exhibitions, and facilitating our events, programs, and projects.